A beautiful handmade drum lampshade using an Indian silk dupion with metallic or clear linings. This will add a touch of glamour and a real statement piece for any interior. 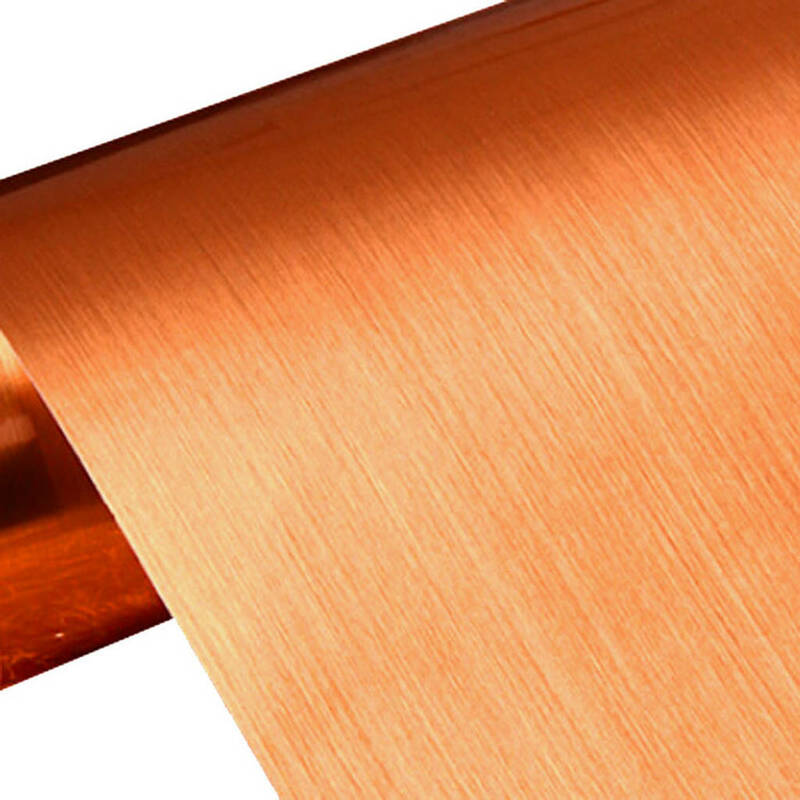 Designed and handmade in our UK studio. 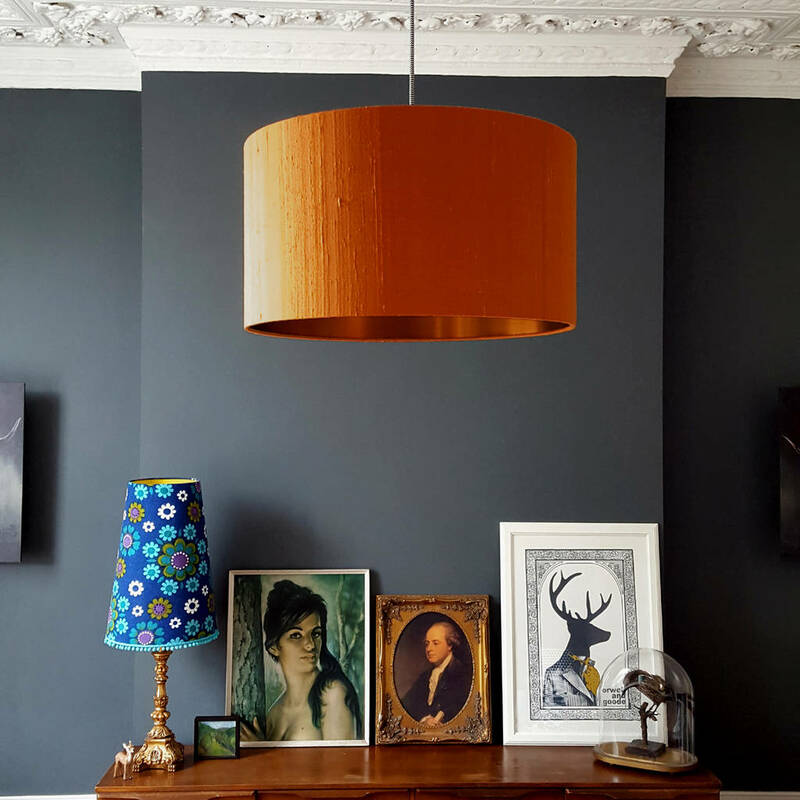 All shades are suitable for ceiling pendants, table or floor lamps but please use the drop down menu if prompted. 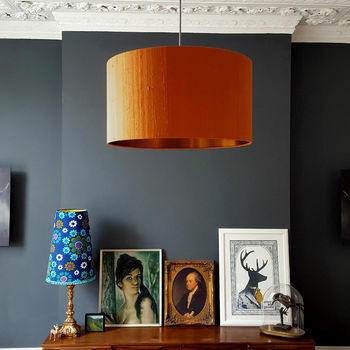 Central ring is 4cm down (pendant fitting) or up (lamp fitting) from the edge of the frame. 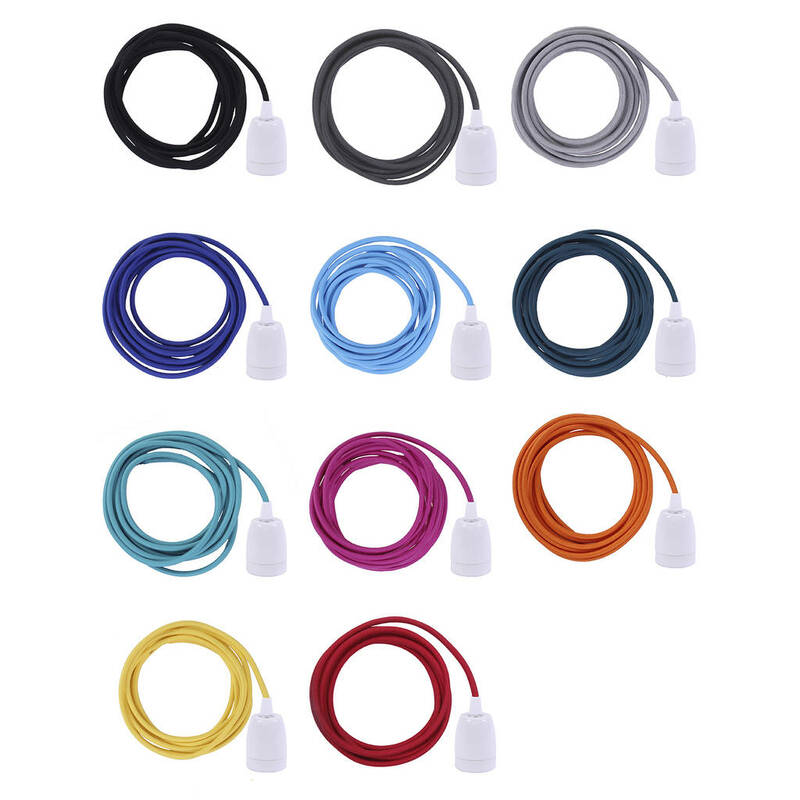 Why not add a complementary or contrasting ES27 Flex & Fitting cable set to your order? The Set includes 3m of colourful flex cable, 1 porcelain bulb holder and 1 matching silicone ceiling rose cover. Vibrant raw silk with a natural slub through the fabric. We are more than happy to send out fabric swatches free of charge, so please forward your address. Email us with any questions you may have before your purchase as we try to avoid returns if at all possible! As we use three layers of materials to make our gold lined shades the outside colour stays lovely and rich and no light permeates through the side of the shade. The light is directional so gives a lovely warm golden glow top and bottom. The bigger the shade, the more light you will have. If you choose the clear lining, you will see the silk outside and in and light will pass throught the shade. 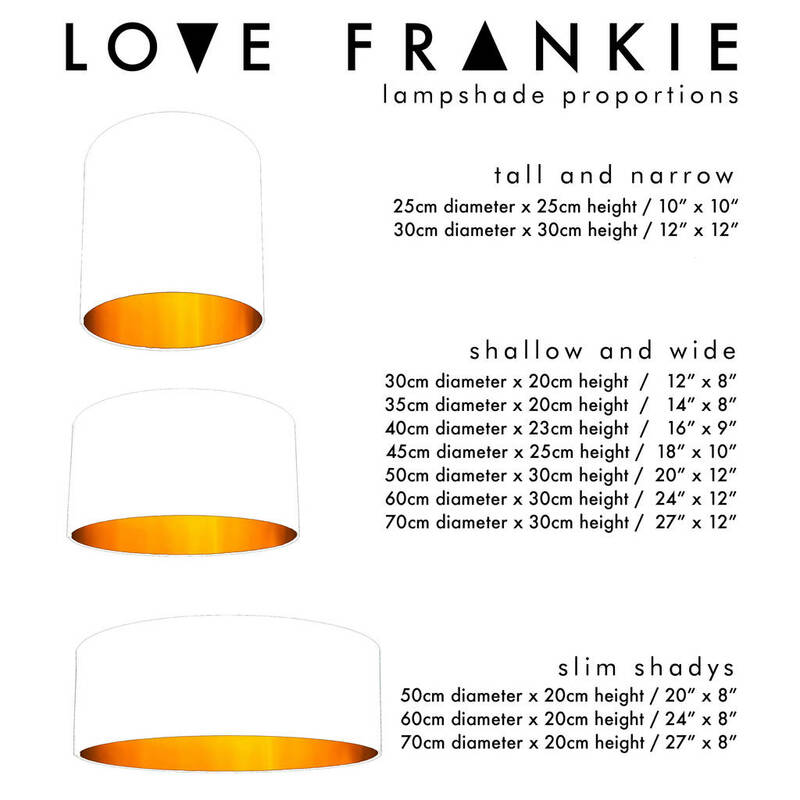 If you require any help with sizing to find your perfect lampshade for your floor or table lamp or ceiling pendant, please do not hesitate to contact us for advice!